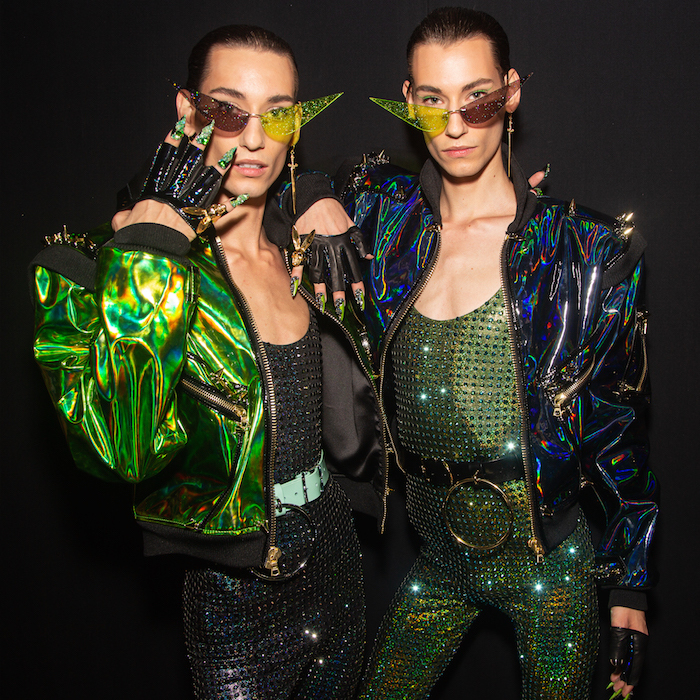 Home » an [EDITORIAL] view… » DISNEY VILLAINS X THE BLONDS rocking NYFW! 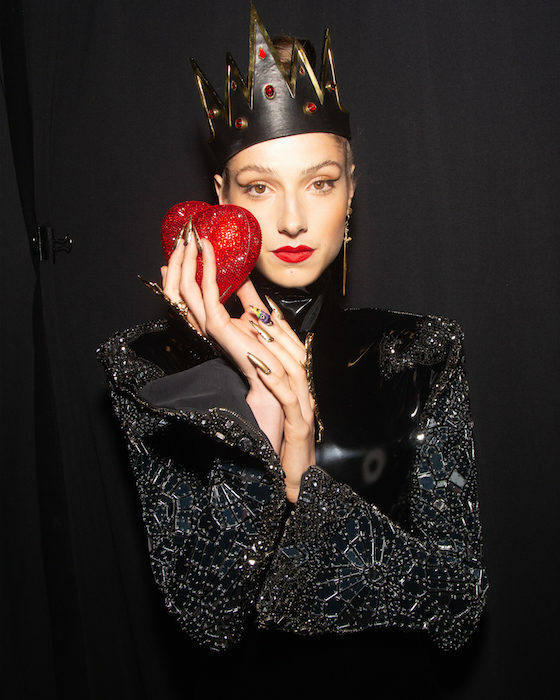 Fancy the sparkled feast for the DISNEY VILLAINS X THE BLONDS spring runway show! An all-star show cast extraordinaire with flair included Paris Hilton, Patrick Starrr, Shaun Ross, and Desmond is Amazing workin’ the runway and the pumping up the audience during the show. Dominique Jackson of POSE (FX) closed the show with a number. Here’s a peek backstage at the people and details of what we saw. From headpieces to exquisite jewelry by heartofbone_ matched with wicked nails by CND. Cruella De Vil, Maleficent, Evil Queen, the Queen of Hearts, Dr. Facillier, Ursula and her dark eel minions Flotsam and Jetsam were glamorized by THE BLONDS’ designer Phillipe Blond and creative director David Blond. The show opened with Phillipe Blond in stunning mirrored full-length coat inspired by the Evil Queen, followed by Shaun Ross (look inspired by Dr. Facillier), the Dupont Twins (looks inspired by Flotsam & Jetsam), Paris Hilton (look inspired by Cruella De Vil), YouTube personality Patrick Starrr (look inspired by Ursula) and closed with Dominique Jackson (look inspired by Malificent). DISNEY VILLAINS X THE BLONDS rocking NYFW! commentary + faves by Brigitte Segura. photo credit: @paulmorejon for @fashiondailymag. backstage detail portraits by brigitte segura.